One year ago, the EU lifted sanctions against Belarus. The sanctions were imposed in response to human rights violations perpetrated by the Belarusian regime, but were lifted without any improvements to the human rights situation. 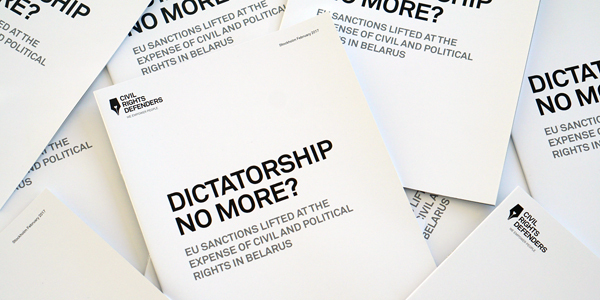 On the one year anniversary since the sanctions were lifted, Civil Rights Defenders releases the report “Dictatorship No More? EU Sanctions Lifted at the Expense of Civil and Political Rights in Belarus”. Download the report: Dictatorship No More? EU Sanctions Lifted at the Expense of Civil and Political Rights in Belarus.